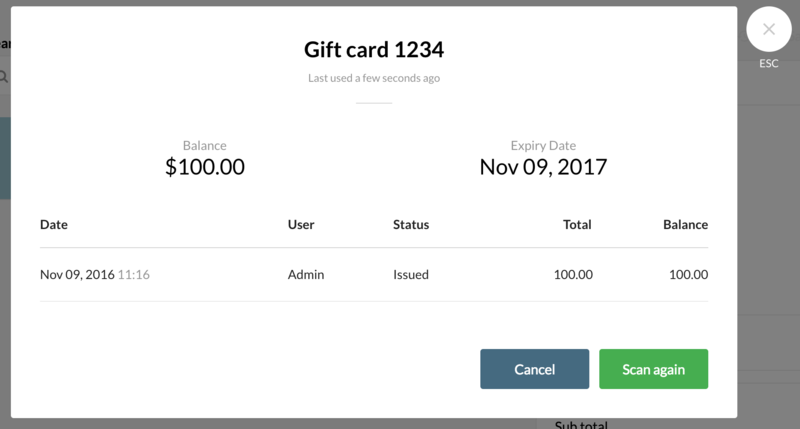 Enable Gift Card Expiry Dates – How can we help? 2. On this page, locate the Expiry section and click the button so that it displays a green tick. 3. An "Expires in" section should now appear with a text field and a drop-down menu. In the drop-down menu select whether you'd like your gift cards to expire within a matter of days, months or years. In the text box, specify the number of days, months or years until newly issued gift cards expire. Note: Gift Cards will be redeemable up to and on the expiry date. 4. Once you have completed these steps, all newly issued gift cards will have your chosen expiry date applied. If you have a Xero account connected to Vend, you will need to set up your store so that Gift card expiry revenue posts to Xero when gift cards expire. Important: If you do not map the correct Xero account for gift cards expiry revenue, these transactions (and all other transactions) will not flow through to Xero. 2. Once here, navigate to your Accounts for Liability and Expiry section and choose your desired revenue account underneath 'Gift card expiry revenue'. Setting this up will mean that the remaining value of all expired gift cards will be posted as revenue to Xero. Note: When a gift card expires it will be posted to Xero as a journal entry. If your customer would like to check when their gift card expires, add the gift card product to the sell screen as normal and scan or enter the gift card code. The details of this gift card will appear, including the expiry date and a history of the gift card. What if a gift card has expired, but I still want to honour the gift card? Unfortunately, you cannot reissue the gift card. However, check out this article to learn more about how to honour an expired gift card. Why don't I see gift card expiry dates on the Vend iPad app? This feature is currently only available in Vend for Mac and PC. Gift card expiry will be available on iPad soon! What happens to all the gift cards that I've already issued? Gift cards that have already been issued will not have an expiry date. Only gift cards issued after you enable gift card expiry will have an expiry date. Is the gift card expiry print on the receipt? What if my gift cards failed to post to Xero? An error message will appear on the gift card report page if you have any gift cards that have failed to post to Xero. On this page you will be given the option to re-post the failed transaction(s) to Xero. You will also receive a notification identifying the error has occurred.